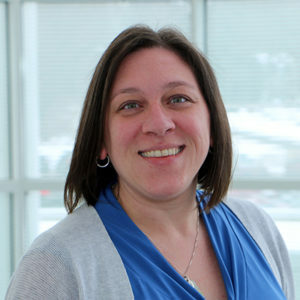 Erin Thomson, LCSW, is a licensed clinical social worker in the Starting Together program in the Waisman Center Autism Treatment Programs and the clinic coordinator for the Newborn Follow-up Clinic in the Waisman Center Clinics. Thomson provides parent coaching using the Early Start Denver Model (ESDM) as a guide for families enrolled in the Starting Together program. Thomson has worked for more than 10 years providing services to children 0-5 years old and their families.